Your vehicle is most likely one of the most expensive items you own. We often take for granted our car’s health until something breaks. 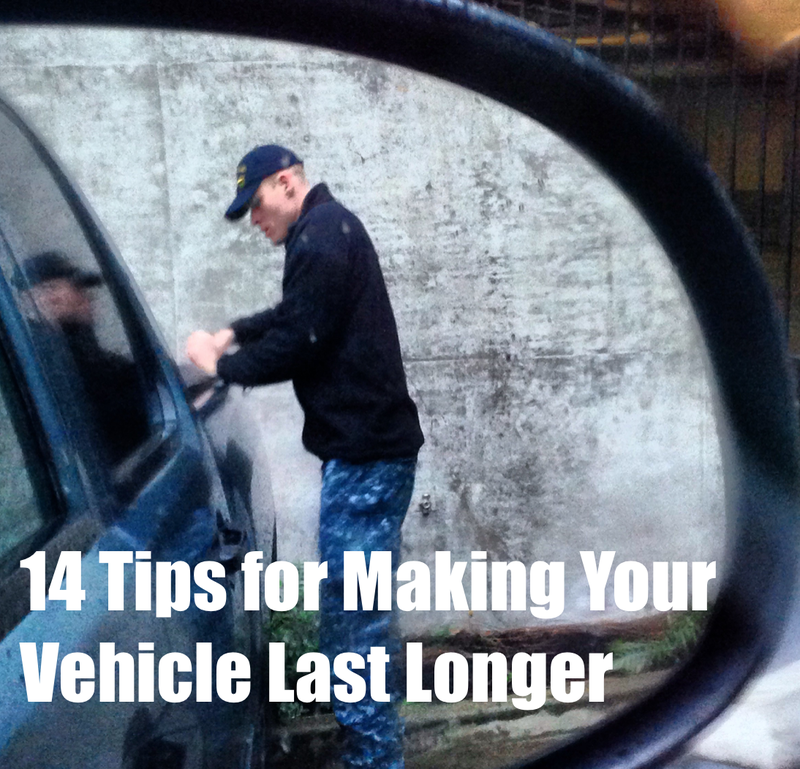 Here are 14 helpful ways to make your vehicle last longer and lower your long-term cost of ownership. 1. Drive with Aloha. Growing up in Hawaii, it always seemed like I was stuck behind someone going slow. What I didn’t know was maybe they were just trying to make their car last longer. Believe it or not, those burnouts you love doing really wear your car out faster. 2. Let your car warm up. When you start your car in the morning, give it at least a twenty seconds before you put it drive. Engines experience the most wear and tear when they are cold. If you live in a cold climate, wait at least a minute. 3. Don’t forget to get it waxed. It’s easy to remember to get a car wash, but don’t forget to wax it at least every four months. Not only will you feel better about your car, but a wax will protect your paint and keep it from rusting. Do this more often if the roads have been salted. If you want to save money do a DIY wax, but make sure you wash it really well first. Youtube has lots of tutorials. 4. Buy a foldable sunshade. Using a sunshade when your parking in the sun will not only keep your car cooler but it will keep all those harmful UV rays from fading your dashboard. Amazon has cheap ones for about eight bucks. My wife says it can double as a light-reflector for photoshoots or tanning at the pool. 5. Wash your car before you get it serviced. Your vehicle’s condition tells the person working on your car how much you care about it. Make sure they know its important to you, and it will be more important to them. 6. Protect high-traffic areas with plastic laminate. For areas of your car that are most likely to be subject to abuse, consider adding thin plastic laminate. You can get it on Amazon here. My wife loves dragging her purse over the door sills so I added a nice plastic film to protect the paint. It takes about twenty minutes to install but will save your door sills for as long as you own your car. 7. 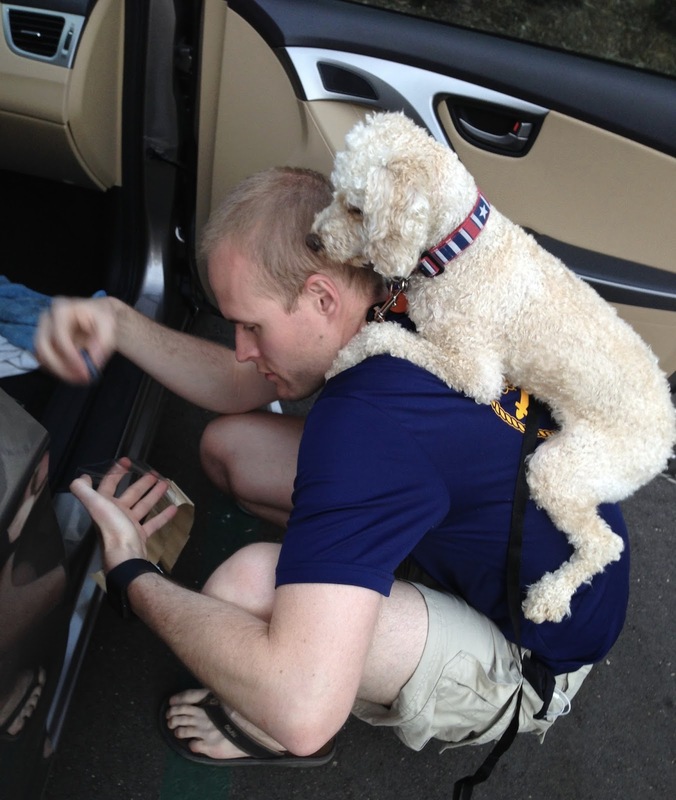 Take the junk out of your trunk. We all know those people who fill their trunk with random clothes, tools, trash, bottles, totes, shoes, papers, etc. and then forget about it. The constant added dead weight in your trunk not only hurts your fuel economy, but it increases the wear and tear on other vehicle components. 8. Choose a vehicle that has affordable repair costs…. because you’ll be more likely to do them! There’s not a whole lot you can do you once you’ve purchased your vehicle, but before buying do some research on how reliable your car is and how much repairs cost. Repairs for European cars can cost hundreds of dollars more than a similar repair for a domestic or Japanese car. 9. Park under cover. Whenever possible, choose the parking spot that’s under a roof. Your paint will last longer, your vehicle will stay cleaner, and you won’t need to wax your vehicle as often. 10. Don’t let your vehicle sit for long periods of time. If you are going to be traveling for extended periods of time or will only drive a vehicle during certain months, consider having someone drive your vehicle a couple miles once a week or at least start it and let it run to get the oil warm. 11. Watch what you eat in your car. While its easier said than done, keep eating in your vehicle to a minimum. Based on the Milky Way wrappers I find in our vehicles, not everyone may agree with me on this one, ehem, Dylan. 12. Fix dents and scratches BEFORE they turn into rust spots. That new dent you noticed could soon become more than an eyesore. 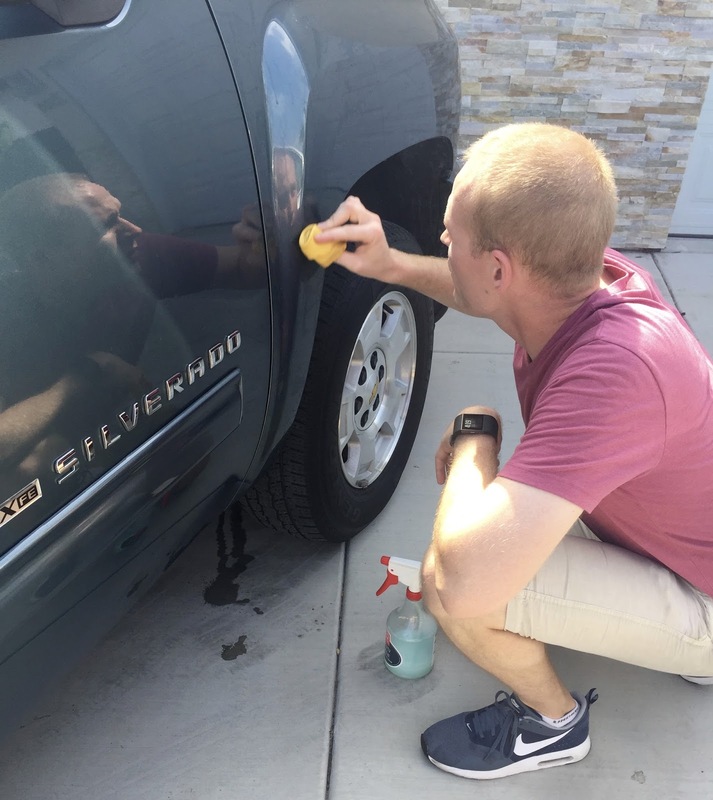 When paint is scratched down to the metal it won’t take long for it to begin rusting, especially if you live in a climate with salt on the roads or sea breezes. 13. Choose parking spots away from crowded spaces and shopping cart returns. Tell your wife it will give her more Fitbit steps. 14. Don’t let your pets ride on the seats. Dog hair and dirt will accumulate. Their claws will inevitably wear down your upholstry. And beware of that “doggy” smell that can linger over time.